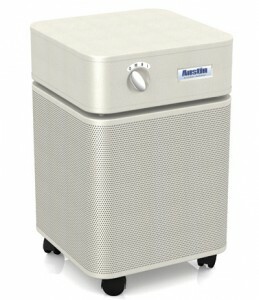 Who should consider the Allergy Machine air purifier? Why is the Austin Allergy Machine the best choice? The Austin Air Allergy Machine HEGA Filter integrates technology developed by the military, a military grade carbon cloth for removing odors and gases. 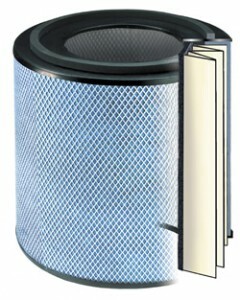 The Austin Air Allergy Machine HEGA Filter combines this cloth with an outer filter called a Highly Efficient Particulate Arresting (HEPA) filter that traps airborne particles, including dirt, lint, and hair. This combination removes and absorbs the smallest of airborne particles and chemical gas contaminants.The Austin Air Allergy Machine HEGA Filter integration design is called the High Efficiency Gas Absorption (HEGA) filter. Harmful airborne particles are removed 99.97% of the time for particles as small as 0.3 microns and 95% for minute particles down to .1 microns.